Braxton James and Madi Cooke were named 2018 homecoming king and queen at Colonel Crawford High School before the Eagles’ game last week against Upper Sandusky. 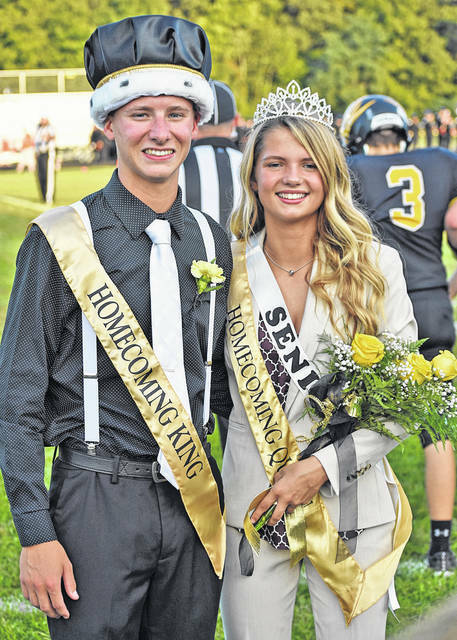 Photo by Don Tudor Braxton James and Madi Cooke were named 2018 homecoming king and queen at Colonel Crawford High School before the Eagles’ game last week against Upper Sandusky. https://www.galioninquirer.com/wp-content/uploads/sites/38/2018/09/web1_fb-091418j-US-at-CCHS_0015.jpgPhoto by Don Tudor Braxton James and Madi Cooke were named 2018 homecoming king and queen at Colonel Crawford High School before the Eagles’ game last week against Upper Sandusky.